Art Morse Auto Repair has delivered top-quality auto repair and maintenance services to the Battle Ground area since 1980. Each of our ASE master certified technicians is selected for his or her experience, skill, excellent and customer care. We have largely earned our reputation excellence by word of mouth over the last three decades. We foster life-long relationships with our customers by providing well-qualified mechanics in Battle Ground. When you come to us for car repair or general upkeep of your vehicle, we never suggest more services than you need. Our services and pricing is transparent and upfront. We have a policy of open communication, so you are never left in the dark. Feel free to ask as many questions as you have, we want you to feel comfortable and confident in the services our mechanic is providing. Our services are backed by NAPA AutoCare’s nationwide warranty, covering parts and labor for 24 months and 24,000 miles. We are also an AAA approved facility. 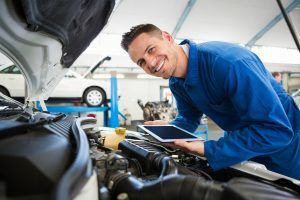 These partnerships are only awarded to highly-qualified mechanic shops who routinely deliver the very best in auto repair services. Come to us for a mechanic who works on the latest hybrid technology, all the way to the oldest classic car. We work on light- and medium-duty commercial vehicles, SUVs, RVs, as well as foreign and domestic vehicles. As a locally-owned and operated business, we care about you as an honored part of our community. We all drive on these same roads together, and each Art Morse mechanic is dedicated to promoting safety by providing the best possible auto repair services around. Call today to see a top-rated mechanic in Battle Ground.